This is conference championship weekend in college track, and three of them stand out above the rest: the ACC, Big 12, and SEC Championships. There are a couple of good road races on tap this weekend too, so there’s plenty of action you should be following over the next three days. My (very) quick dope sheet indicates that Clemson shouldn’t have any trouble winning the women’s competition, but the men’s looks like it will be close between the Tigers and Syracuse, with Virginia having an outside chance as well. Knight is one of college track’s rising stars. He’s just a sophomore and has shown range from the mile (3:56) to cross country (4th at NCAAs). He’s a big part of Syracuse’s bid for the ACC title, and twice will battle Curtin, who beat both Knight and Oregon’s Edward Cheserek during last fall’s cross country season. If the USTFCCCA rankings are to be believed, these two will battle it out for the team championship. The Longhorns are the two-time defending indoor and outdoor champions, while the Wildcats have never won the Big 12 indoor title (and last won the outdoor championship in 2002). If K-State is to pull off the upset, they’re going to need a big lead before the 4×400 comes around. The USTFCCCA rankings say these two teams are the favorites for the Big 12 men’s championship. The Longhorns, the defending champions, are #6 in the rankings while the Red Raiders are #7, and they represent the last two Big 12 outdoor champions as well. 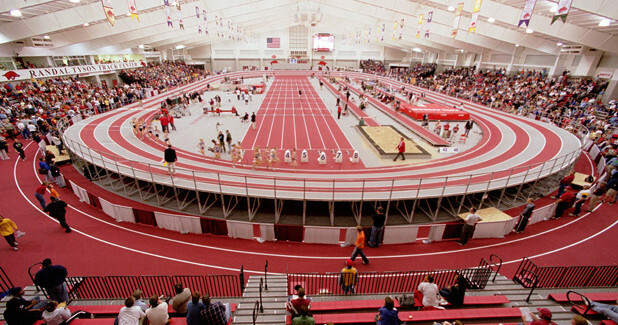 Texas Tech has never won the Big 12 indoor title, nor did they ever win the indoor championship in the old Southwest Conference, so if they pull it off it looks like it will be their first ever indoor conference championship. Baker and Teeters were first and second in this event at last year’s NCAA indoor championships. Teeters is tied for #1 on the 2016 collegiate list and undefeated in 60 meter finals this year, including a win over Baker. Baker is #4 on the college list and has just one other loss (to Tennessee’s Christian Coleman). The Hogs are #1 in the USTFCCCA rankings, the Bayou Bengals are #3 and the Aggies are #5. This would be so exciting to watch…but who in their right mind wants to sit through a four-and-a-half hour day of finals? With 90 minutes of distance races between the 200 finals and the 4×400? This is what’s wrong with college track. It could be even tighter on the women’s side — the three above are 2-3-4 in the USTFCCCA rankings. Burks is the defending NCAA outdoor champion and leads the 2016 collegiate list, while Saunders was third at those NCAAs and third on the college list. Ethiopia’s Birhane Dibaba is not directly competing with the other two marathon stars, rather they are competing on the Abbot World Marathon Majors scoreboard. This is the last race in the current series (the next begins in April with the Boston and London marathons). Keitany and Mare Dibaba both have 41 points and Birhane Dibaba has 34, but a top-three finish for Birhane would guarantee enough points for the AWWM title. Kitwara, a 2:04 marathoner, has won this race five times in a row now, but he faces a formidable opponent in Karoki: runner-up at the Kenyan Cross Country Championships two weeks ago and fourth in the track 10k at last year’s World Championships. I would love to sit through 90 min. of distance races between the 200 and 4×400 at the SEC indoor meet.